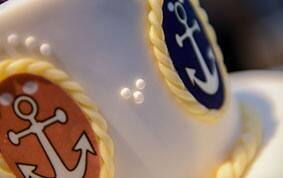 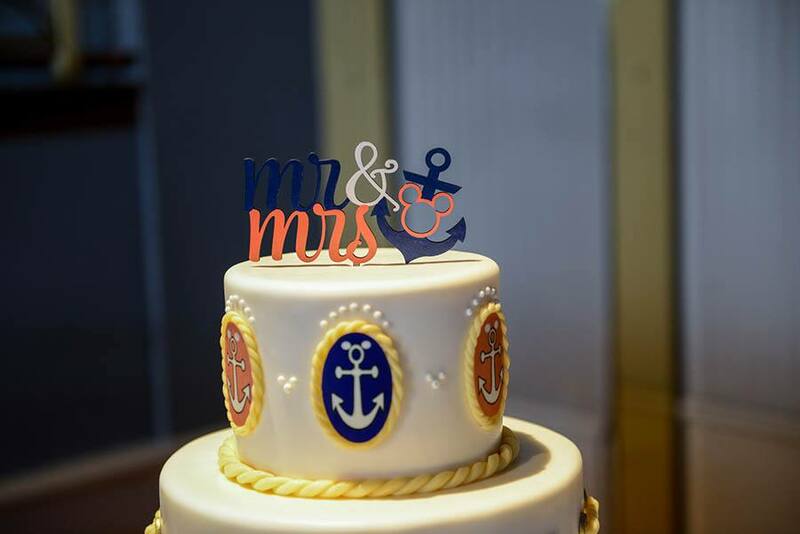 Take to the high seas with today's nautical inspired wedding cake. 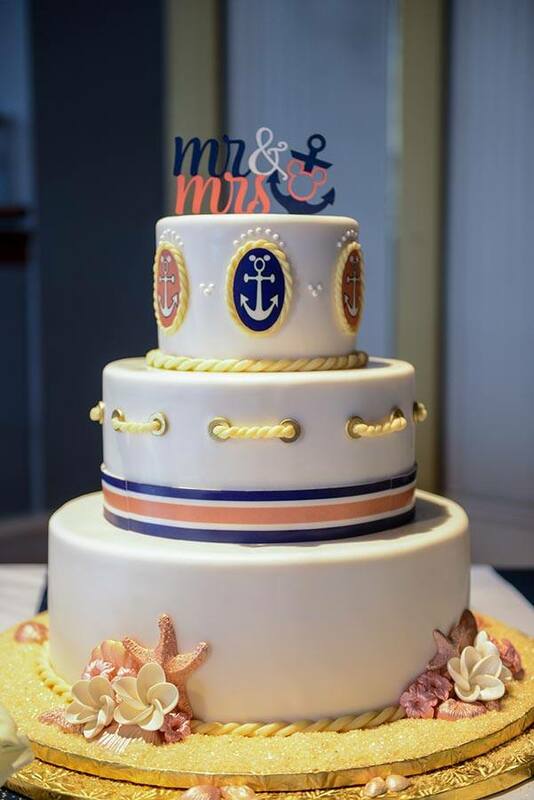 Every detail of this cake evokes thoughts of the ocean and days spent on the water basking in the sun. 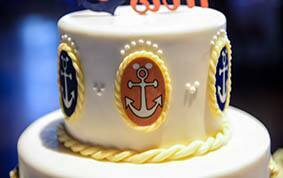 It makes me want to hop on the next departing cruise ship! 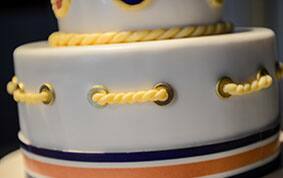 Be sure to look for the tiny Hidden Mickeys throughout the three tiers, and don't miss the beautifully intricate rope details. 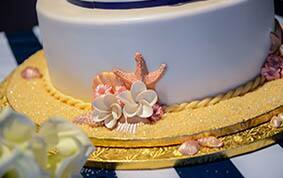 There are even tropical flowers and sea life atop a sugar sand base as a testament to the couple's love of the beach.